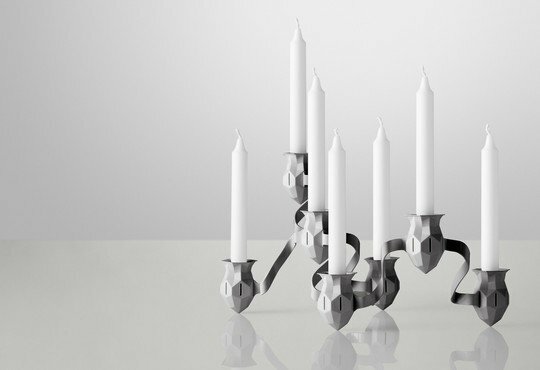 As the saying goes: the more elements you join together, the merrier the result. Can be constructed in infinite ways. The design is a blend of the formal and the informal. 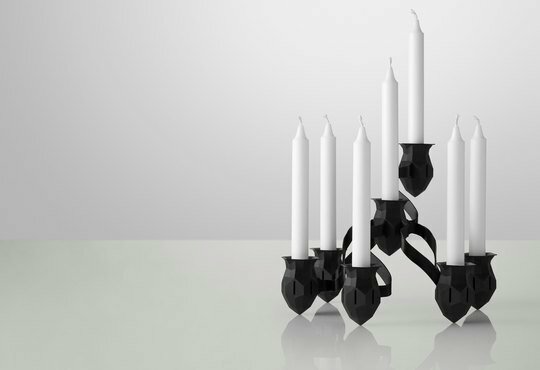 The crystal-inspired candleholders are made of the softest matt rubber; the garland-like arms are pressed in hardwearing steel and then coated. 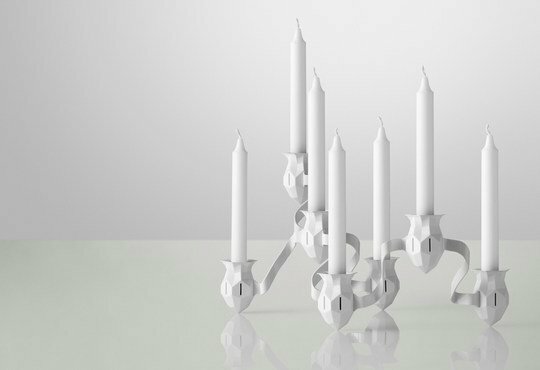 Assembly can be conducted with a sense of meticulous symmetry, or with complete chaos, as you wish. Using 4, 7, 14, 27, 77, 189? elements, according to desire.